This bullet journal calendar is fully customizable. You can change the titles, calendar, embellishments, and calendar journal template. Add your own text and edit the existing text. You can also add any of the doodles. Journal decorating has never been easier! You can add any doodle or decoration with the click of a button with the help of our digital bullet journal app. 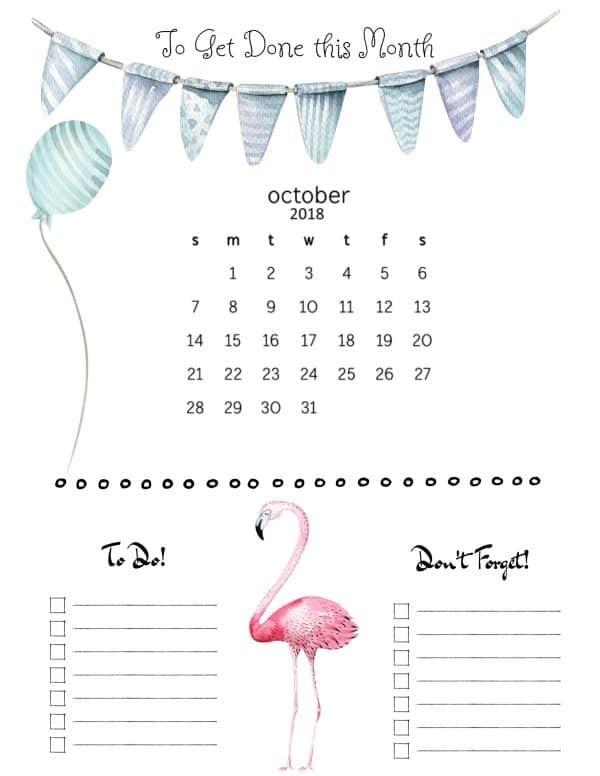 Click on the image above to customize the ready made bullet journal calendar or open the app to create your calendar from scratch. You can create as many journal printables as you want. Keep adding elements and moving them around. Once you are happy with the outcome just download the printable. You can then keep changing elements and download again. 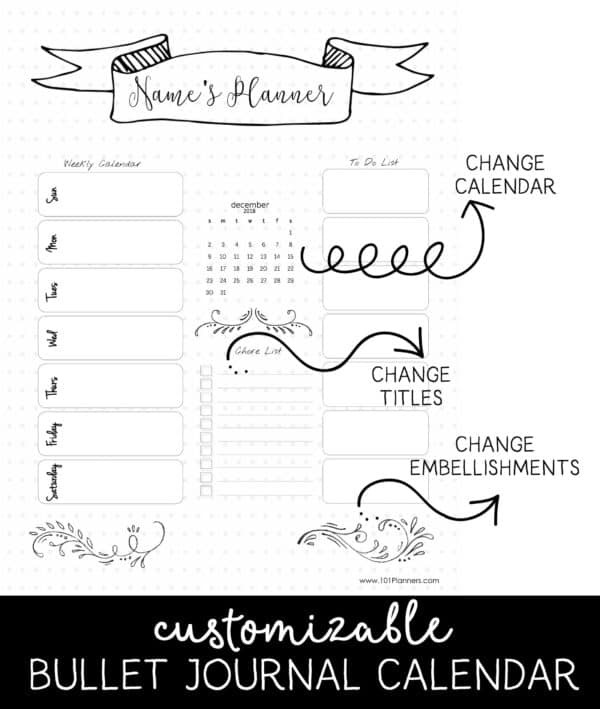 We have many different kinds of bullet planner templates on this site. Click on any title and type the text that you would like to appear. For example, if you want to change the chore list to monthly journal. Click on the “chore list” and then type “monthly journal. It is as easy as that. Click on “click here to select a design”. Select “monthly calendars”. Select the monthly calendar that you want. Click on “click here to select a design”. Select the category that you want. Select the image that you want. Move it around or change the size. To download as a PDF document just click on the folded page icon.